When you dedicate your pastime to collecting and organizing valuable Canadian coins, you definitely want to find proper storage to keep them in top condition for years to come. There are numerous storage boxes and holders to choose from, the key is to avoid soft plastic because of the risk of PVC damage and folders that can’t be neatly closed since coins will easily fall out. Some of the great storage options include coin capsules, albums, cardboard boxes, slabs or flips. There are many more options to choose from, depending on the type of the collection you own and how you wish to keep or display your coins. If you want to know more about the best storage supplies that will preserve your coins for generations to come, read on and choose the most suitable one for your collection. You can find all the supplies you need at Colonial Acres Coins. When you’re searching for the right coin holder, it is crucial to check the type, material, and size of your coin so that you don’t end up buying the wrong type of holder. 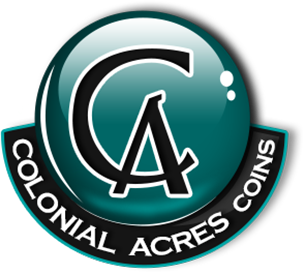 Trusted dealers like Colonial Acres offer plenty of options to choose from and most importantly, you can be sure that all of their holders are of high quality and aren’t damaging to the coins. They have coin tubes, commemorative coin holders, staplers, round or square coin capsules. You can expect to find frequent sales and great deals on coin holders, so keep an eye on this section on their website. If you’re searching for a suitable box to display your coins in, the best choice would be a premium presentation case. These are high-quality boxes with silk-lined lids as well as black velvet inlays. You can also purchase the practical storage boxes with inserts for mixed-size coins. If you want to find a cheaper box, there are nice cardboard boxes as well. Even though these won’t last as long as the premium ones, they are great as a short-term solution for your coins. Briefcases are a nice option for large coin collections. They have locks to prevent unauthorized access and keep your valuable coins safe and protected from humidity or other harmful elements. There are different types of albums and pages to choose from depending on your collection. There are world coin albums, uni-safe or uni-master albums. You can find great options of albums and pages at Colonial Acres. They offer replacement pages, deluxe albums or coin wallets in different sizes. Most importantly, you can be sure of the quality and durability of their products above all. For different types of anniversary or birthday sets, you can find a proper snap-lock case. These are a great way to display your coins and keep them safe during handling. Depending on the coin set you have, you should search for the appropriate snap-lock case to store it in. These are usually made with hard plastic and some have cardboard inserts. When you’re in need of proper storage supplies for your valuable Canadian coins, Colonial Acres has the best selection to offer and amazing deals that are waiting to be found. They have various subcategories for coin supplies on their website, so there’s no doubt that you’ll be able to find the suitable storage option for your collection. If you need help or have some questions about your collectibles, Colonial Acres has knowledgeable staff members that will be pleased to help you. So, if you want to find the perfect storage solution for your coins, hurry and visit their website to uncover plenty of options and amazing deals.